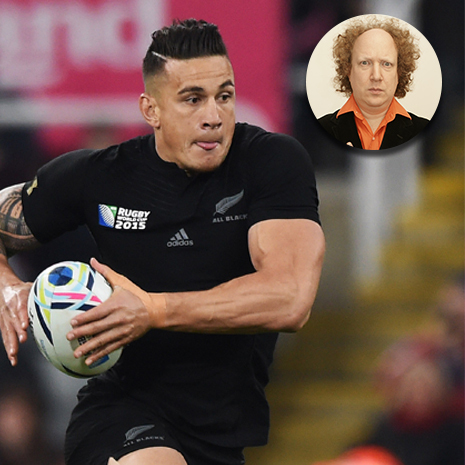 We made a Sweepstake kit for the whole Rugby World Cup before the tournament began but we know a few of you missed out before it began. Or maybe you’re office is too small for a 20 team sweepstake or you just want to play again so you can get a team that’s still in the contest. Luckily we have made an updated kit for just the remaining 8 teams in the Quarter Finals. Simply download the full resolution Sweepstake here. Cut out the teams, fold in half and place in a hat. Participants pick a random team out the hat and their name is written below said team in the table. The winner of any prize arranged by your group (Suggestion: Make entry £1 or £2 as a prize pot) is the participant that picked the winner of the Rugby World Cup out of the hat. Let us know how your sweepstakes go @rugby_store or over on Facebook. 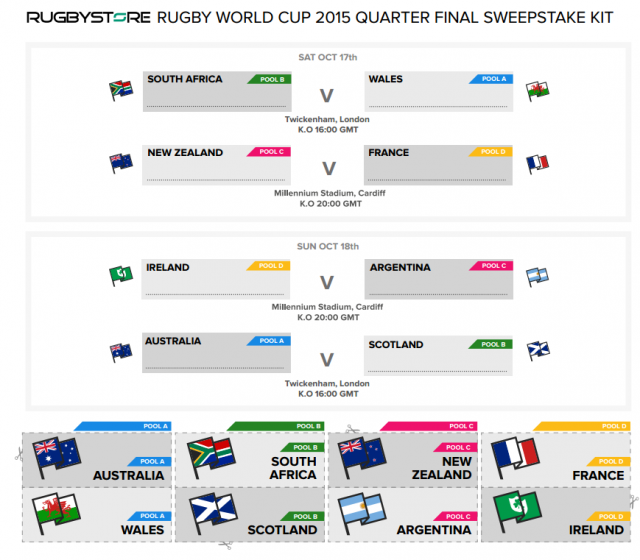 DOWNLOAD THE FULL RESOLUTION RUGBYSTORE.CO.UK RUGBY WORLD CUP 2015 SWEEPSTAKE KIT.